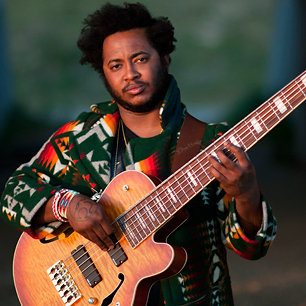 Virtuoso jazz-funk bassist Thundercat, now exposed to a wider audience due to his outstanding work on Kendrick Lamar’s magnum opus To Pimp A Butterfly, unleashes his third studio effort and first since 2013. The album is sprawling, conceptual and incoherent in the best way, musical tidbits flying past you before you even have a chance to grab hold of them. Songs rarely extend past the 3-minute barrier. The title, Drunk, is intended to be as appropriate as it ends up being. 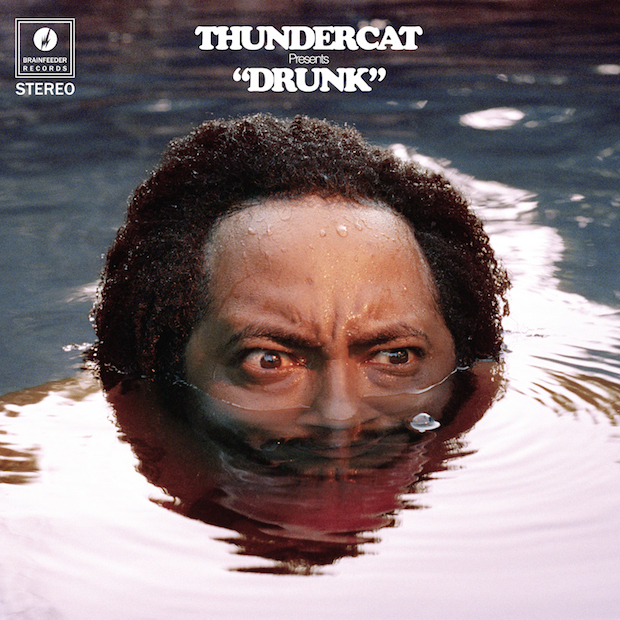 It not only feels like we are drunk ourselves, listening to the music which is equal parts woozy and frantic and getting constantly distracted by different things, but that we are listening to an hour-long diatribe given by the drunken Thundercat. He has absolutely no filter on this project to hilarious result and says any stray thought that enters his mind. The album is very difficult to make heads or tails of, but the convincing degree to which Thundercat executes the concept and the stellar musicianship on display makes Drunk more than worth your time. The album is an infinite loop, as the same melody from opener “Rabbot Ho” is repeated with different lyrics on closer “DUI”. “Where this ends we’ll never know”, Thundercat sings, knowing that he is going to continue to revert back to the negative thoughts and tendencies he speaks about over the course of the album. The whole album really is like falling down Alice’s rabbit hole that he alludes to on the opening track. 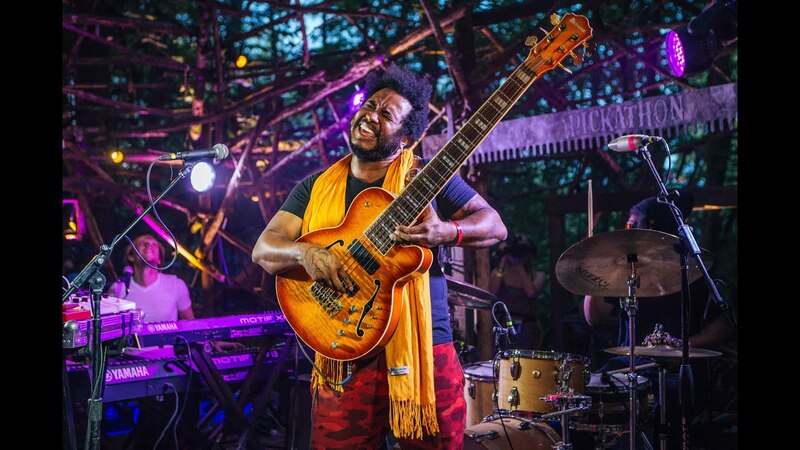 Thundercat is accompanied on nearly every song by producer and Brainfeeder labelmate Flying Lotus, whose usually electronic work is just as experimental in sound and gels nicely here. Kendrick Lamar collaborator Sounwave (B***h Don’t Kill My Vibe, King Kunta) appears on three tracks and offers his funk sensibilities to great effect as well. Lamar himself appears on the mic, one of three hip-hop features with Wiz Khalifa and Pharrell Williams, who all do their best to maneuver through Thundercat’s unique soundscapes. Most interesting are the appearances on “Show You The Way” from none other than Michael McDonald and Kenny Loggins, clearly inspirations for Thundercat’s style of singing, who sound as at home as ever on the jazzy instrumental. Thundercat’s work with his bass guitar is an absolute wonder to behold — “Uh Uh” introduces his skill level early on in the album with a largely instrumental track where he duels with a piano player, seemingly attempting to play the fastest while maintaining a coherent sense of melody. It all reminds me of Sebastian’s “conflict and compromise” speech in La La Land. The lyrics are consistently a surprise, hiding some much deeper themes behind some seemingly random and mundane topics. Yes, Thundercat sings about how he doesn’t understand technology (“Thank god for technology, because where would we be if we couldn’t Tweet our thoughts?”, he sings sarcastically), skirting romantic relationships to play video games, and how he wishes he lived the carefree life of a cat (complete with meowing vocals), but the tempo frequently slows down to offer more poetically written statements on death, loss, loneliness and discrimination. It shows that tracks like “Tokyo”, where he travels to the city to “blow all [his] cash on anime”, are more of a coping mechanism with this pain. It’s all very conceptual, and will take further listens to fully understand. Thundercat’s voice is a beautiful falsetto, but as the focus is more on his instrument, he never takes much effort to put variation in his tone and as a result many of these songs end up sounding very similar. If it weren’t for the distinctive lyrics, this album would get incredibly boring as it reached its end. Standing at 23 tracks, there is certainly some filler here, as some tracks touch on largely the same topics – though perhaps the ultimate meaning hasn’t clicked yet. Thundercat seems like the kind of artist who would deliberately order these tracks to communicate an overarching artistic vision. The unique musical style displayed throughout is often too abstract to accommodate guests, and it leads to some awkward verses from Lamar, Khalifa and Williams, who all seem as surprised by the twists and turns as we are. As they are trying to deliver their verse, they tend to clash irrhythmically with the shifting, changing musical landscape behind them. While Drunk certainly has its faults, the sheer attempt to pull off something like this and irreverent creativity and absurdism issued in Thundercat’s lyrics makes this 2017’s most interesting project thus far. Thundercat has proven himself to be a talent far beyond his manic bass playing, and it’s easy to see why a visionary like Lamar keeps calling on him.